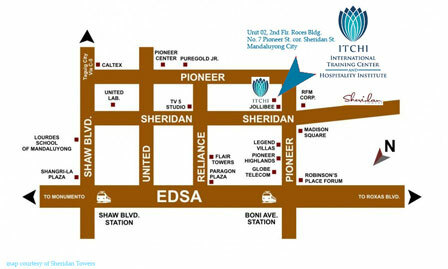 ITCHI opens your world up to a myriad of opportunities starting with its close ties to JobsManila. This partnership not only facilitates employment abroad by being licensed by the Philippine Overseas Employment Administration (POEA), but also offers priority placement opportunities for all of its successful graduates. Take your journey from the classroom straight to hotels and restaurants everywhere. Read more about potential employers from top recruitment companies or hotel properties here. Located at the heart of the Jordan Valley by the Eastern shores of the Dead Sea at the lowest point on earth, the King Hussein Bin Talal Convention Centre managed by Hilton was established in 2005. Since then, KHBTCC was known as one of the most convenient convention center in the area. Established in 2004 in Kuwait, Universal Food Company W.L.L. (UFC), one of Intishar Holding’s twelve subsidiaries, currently employs more than 400 employees within its 19 operational outlets and plans to grow its successful brands through its state-of-the-art central kitchen managing system. Apart from working to create and acquire brands to cater to its desired market segments. Located on the Arabian gulf street overlooking a spectacular beach strip with soft golden sands which makes it the perfect getaway for all, it is also strategically situated not too far from the major shopping district of Kuwait. Majestic Hotel Tower is a four (4) star deluxe hotel located in Bur Dubai with 252 rooms and suites over 28 floors. The hotel offers views of Dubai’s famous skyline and Burj Khalifa. Close to both the city’s traditional roots and the towering wonders of New Dubai, the Majestic Dubai Hotel is the perfect platform from which to discover the vibrant, dynamic city of Dubai. The Mövenpick Hotel Kuwait is situated on Shuwaikh Bay in the heart of Kuwait Free Trade Zone. The hotel is just a 10-minute drive from Kuwait International airport, 6 minutes from Kuwait City and 4 minutes from Shuwaikh Industrial Area. Edarat a member of Al Sraiya Holding boasts a wide experience in hotels and restaurants management as well as consultancy services. Century Hotel Doha is luxury 4 star businesses Hotel in Doha, Ideal for both business and leisure travelers. Conveniently located at the heart of Doha, Tower Century boasts some stunning views of the Arabian Sea as well as easy access to all major destinations in the thriving metropolis of Qatar. Tower Century is situated adjacent to the museum of Islamic Art, minutes away from Doha International Airport and a mere 5 minutes from the Souq Waqif and the banking district of Grand Hamed Avenue. Tower Century offers 129 rooms and 4 luxury suites decorated with comfort and elegance in mind, each room equipped with modern amenities like Work Smart space with high speed Internet connectivity, tea/coffee makers, safety lockers etc. With a wide variety of dining options to satiate even the most discerning of palates, the hotel’s two food and beverage outlets offer a pleasant culinary experience. Monde the all day dining restaurant serves a sumptuous spread of International cuisine at its best and specialty with strong seafood influence, offers a la carte menu for lunch and dinner. The world’s first truly global hotel brand, InterContinental Hotels & Resorts is located in more than 60 countries with local insight that comes from over 60 years of experience. Located in the exclusive area of West Bay in the heart of the financial and diplomatic districts, InterContinental Doha The City offers 360 luxury hotel rooms and suites, as well as 176 InterContinental Residence Suites, six innovative restaurants and two lounge bars, including the highest restaurant, bar and lounge in Doha boasting stunning views of the Doha skyline and West Bay. Ladurée (French pronunciation: [la.dy.ʁe]) is a luxury cakes and pastries brand based in Paris, France. It is known as the inventor of the double-decker macaron, fifteen thousand of which are sold every day. They are still one of the best known makers of macarons in the world. Within its elegant design, that merges the modern with the traditional, you will discover the Millennium Hotel Doha offers the famous warmth of Arabian hospitality through an exclusive array of services and leisure facilities. As a guest in this Doha hotel you will have access to a superb range of facilities including new outlets, meeting rooms equipped with state of the art technology, an indoor swimming pool, spa and fitness center. This Doha luxury hotel is designed to meet the needs of business and corporate travellers alike, by offering a wide selection of themed restaurant outlets such as seafood, Italian, Mexican and Burger & Steak nights. Copthorne Hotels are midscale properties in major regional business centres or resort locations in the UK, Germany, New Zealand, Malaysia and Singapore. At 31 December 2011, the Group operated 34 Copthorne hotels worldwide, with over 7000 rooms. Copthorne Hotels have received a succession of major industry awards in recognition of their quality, service excellence and distinctive style of operation. Kingsgate Hotel Doha offers 140 spacious and chic guest rooms & suites along with a wide range of amenities and services to make your stay unforgettable. It is a 3-star hotel brand of Millennium & Copthorne located in the heart of Doha, in Old Ghanim and close to the city’s key administrative, business, and leisure attractions. With the motto “you are the centre of our world“, every guest will surely experience an exceptional stay. Mövenpick Hotel Apartments The Square Dubai is located 15 minutes from Dubai International Airport and nestled in Al Mamzar nearby Al Mamzar Beach Park and key locations.The hotel is ideal for families, executive travellers and long term guests. Occupying a prominent position on Sheikh Zayed Road in the city centre, the Radisson Royal Hotel, Dubai impresses guests and passerby with 51 storeys of shimmering glass. Office towers like the Dubai International Financial Centre (DIFC) are close at hand. Minutes from the international airport and within walking distance of the World Trade Centre metro station, this Dubai hotel makes it easy for business and leisure guests to move about the city. Along with its great location, the Radisson Royal features multiple restaurants and bars, a pool with gorgeous views, a posh spa and three modern, intriguing meeting facilities. Regency Group is one of the oldest & largest business entities in Qatar. It offers diverse services to overseas companies with interests in Qatar & Arab Countries. Through re-investment of profits, recruitment of talented professionals and embarking on several joint venture schemes with leading global enterprises, Regency Group today offers diverse services to overseas companies with interests in Qatar and across the Arabian Gulf States. Sparkling by the crystal blue waters of the Arabian Gulf,W Doha Hotel & Residences is located in the heart of Doha, where majesty meets style, art meets science, history meets haute couture and nature meets nightlife. W Doha Hotel & Residences is located in the prime West Bay area of Doha’s city-centre. The multi-storey structure of the building reveals panoramic views of the Arabian Gulf. W Doha brings a new flavor to the region as the first lifestyle design hotel in Doha. The hotel sets the standard for modern luxury accommodation in the city, offering residents all the benefits and amenities that come with being connected to a W. The design of W Doha is modern and contemporary with an infusion of the design elements indigenous to the region, including lighting, colors, and social areas. All rooms have IP telephones and digital safe boxes with laptop charging facilities. The Address is the Experience. Combining classic sophistication with a modern sensibility, St. Regis is committed to delivering exceptional experiences at 30 luxury hotels and resorts in the best addresses around the world. A 43 storey tower on the Sheikh Zayed Road near Dubai Intl Financial & Convention Center. 3 minute walk from Financial Center Metro Station. few mins drive to Dubai Mall. Stylish rooms, comfortable beds, delicious breakfast and friendly service. Plus free Internet and free bottled water every day. Everything you need to travel the way you like. Agemono it is where the sumptuous greatness of the Japanese and the Filipino dishes can be enjoyed and be found. Cateriya Hospitality is a private and corporate catering and events organization with a vision to provide heartwarming food combined with premium service. We provide delicious, inspiring, innovative food with cutting edge, spectacular presentation which enables us to be at the forefront of the industry. The catering, banquet and restaurant management industries in the United Arab Emirates are experiencing dynamic growth as large international chains establish themselves in around the region. Pastry maker, caterer, chocolate maker, confectioner, organiser of receptions, restaurateur, the chain today owns 39 luxury gastronomy addresses in 11 countries. Associated with the most beautiful Parisian and international events, Member of the Comité Colbert, the brand today embodies elegance and the creative energies of French luxury, bearing the stamp of pleasure, enthusiasm and passion. Patchi is the initiator of the chocolate gifting concept, a trendsetter in the field of chocolate retail. Aside from its premium quality, innovative designs and excellent presentation, Patchi possesses the edge of being the ultimate Chocolate Gift Destination, present across 27 countries through more than 140 boutiques. Premium Cleaning Services is a proud New Zealand company, providing comprehensive commercial and home cleaning services to Greater Wellington. Defining the future of fresh casual – a new and refreshing niche in the restaurant industry – Vapiano is an innovative European concept serving made-to-order hand tossed pizzas, fresh, house-made pasta and hand tossed gourmet salads. An established concept with more than 120 worldwide locations in 26 countires and another many more in development, Vapiano puts a new spin on the dining experience with its urban upscale Italian decor and its modern customer service.